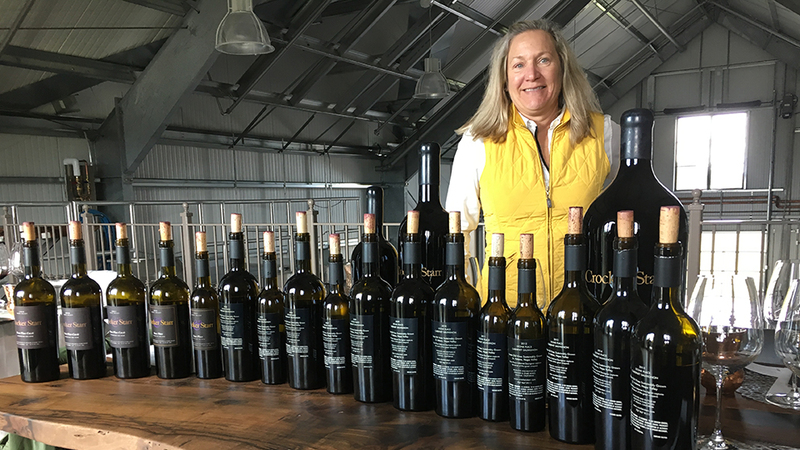 Crocker & Starr’s Cabernet Sauvignon Stone Place has flown under the radar of enophiles who gravitate to more flamboyant cult wines, but in my recent vertical tasting demonstrated remarkably consistent quality and old-vines concentration. Crocker & Starr was established in 1997 when San Francisco venture capitalist and long-time wine lover Charlie Crocker joined forces with winemaker Pam Starr, previously at Spottswoode, to make estate wines from Crocker’s valley-floor vineyard on the south side of St. Helena. The vineyard they work together dates back to 1870, when Dowdell & Sons Winery was established. The winery closed 50 years later, during Prohibition, but continued to sell its grapes – as well as other fruits grown on the property – until Crocker purchased the property in 1971, including the original stone winery, renaming it Crocker Estate. After creating an LLC, they harvested their first grapes together in 1997 and in short order introduced a Cabernet Franc (one of the handful of first Cab Franc varietal bottlings in California) as well as their Stone Place Bordeaux-style blend, named after the “ghost winery” on the property; they followed up with a Sauvignon Blanc bottling beginning in vintage 2001. 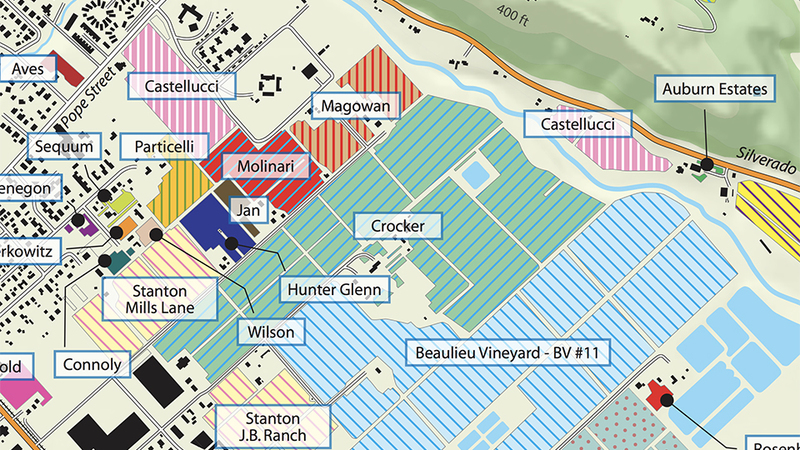 Starting with 45 producing acres (and another 5 not yet planted), Crocker and Starr carried out a soil profiling project and eventually targeted 25 favored acres for their flagship Stone Place wine. During their first six or seven years of partnership, they concentrated on vineyard development and converted to organic farming. Starr noted that the original Cabernet vines, which were already about 20 years of age in ’97, had previously yielded up to ten tons of fruit per acre, stimulated by heavy irrigation and the use of fertilizers. But the owners cut back on the addition of water and made much more extensive use of suckering – thinning the new shoots following bud break into order to ensure fewer grape clusters and greater concentration of flavor. 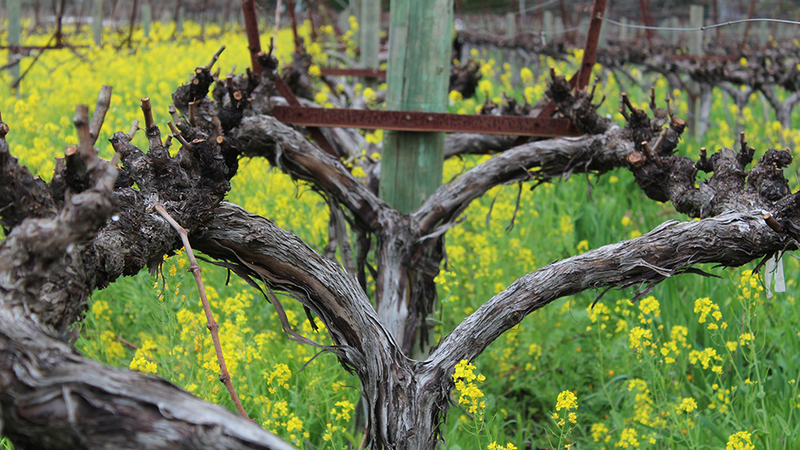 They also began to pull lateral shoots if necessary after the flowering for canopy management purposes. 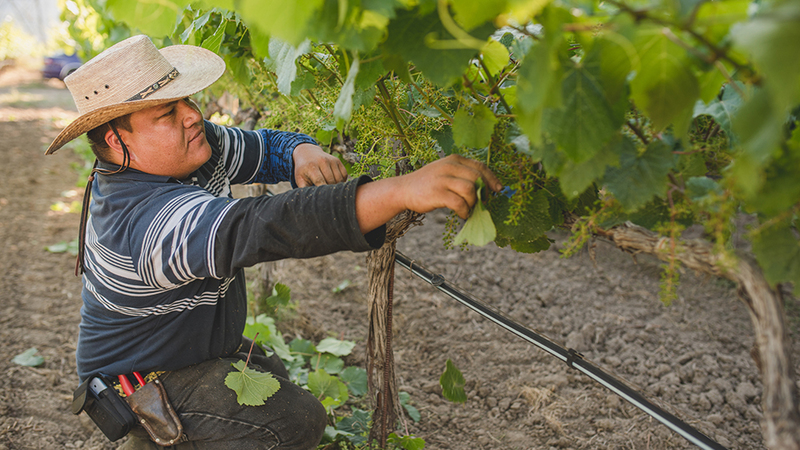 Today the estate has drip irrigation in place but typically uses it only on the hottest summer days or to help new vines become established. 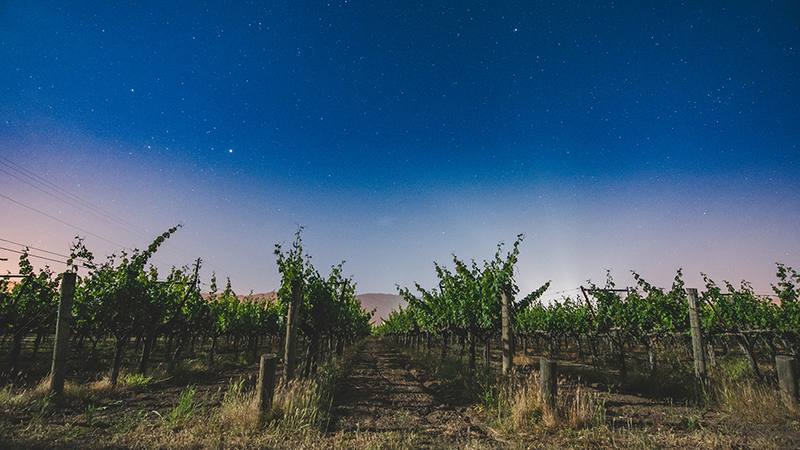 After all the steps taken in the vineyards, the vines required several years to rebalance, noted Starr, but they now set about two and a half tons of fruit per acre, which is conducive to making concentrated, structured, long-lived wines. Cover crop is used to further reduce vine vigor and to enhance the soil in blocks that have not yet achieved balance, including crimson clover to attract honeybees and a border of wildflowers for ladybugs and lacewings, which help control pest insects, particularly the glassy-winged sharpshooter, which is responsible for spreading the deadly Pierce’s disease. After colder winters, the estate often releases a new battalion of ladybugs, especially in its vines close to the Napa River, which are especially vulnerable to Pierce’s Disease. Today, Crocker and Starr farm 80 acres of vines on their St. Helena site, all organically, with 35 reserved for their Cabernet Sauvignon Stone Place (they still sell off around 20% of this production in wine). In 2006 they added small plantings of Petit Verdot and Malbec but the site has not had any Merlot since ten acres of the original vines were lost to virus in 2005. They have recently introduced a new, lower-priced bottling called RLC – for rock-loam-clay – from vintage 2014, made from vines situated just outside the Stone Place block, which is a discrete section of the property in terms of its soil profile and its 40+-year-old vines. (Production of the estate’s flagship wine has expanded very gradually, taking 20 years to grow from 200 cases a year to around 600.) The Stone Place block consists of three distinct soils: light loam with small pebbles on the western, or higher side, of the site, a gravel wash in the center, and what Starr describes as “chocolate-cake crumbly loam with small pebbles” on the eastern side. Starr added that there’s just enough clay on both sides of the vineyard to hold water, but as there’s little silt in the soil, it offers excellent drainage. The entire site slopes gently from Highway 29 on the western side of the valley floor to the Napa River on the eastern side, just inside the Silverado Trail. The Stone Place blend initially included a sizable percentage of Merlot but gradually became 100% Cabernet Sauvignon by the mid-2000s (the label has said Cabernet Sauvignon beginning with the 2004 bottling). In most vintages since 2011, Starr has blended in 5% to 10% Petit Verdot. She likes the structure of this variety as well as its “brambly bush and sticks-and-stones quality,” observing that in warmer vintages it adds an intriguing dark cherry note to the finish of the blend. The harvest typically takes place at night, when the berries are cool, and the fruit is destemmed and sorted by hand. Depending on the vintage, Starr may carry out a pre-fermentation cold soak and/or extended maceration on the skins following the end of the fermentation. Starr cut her teeth on French wines, and originally racked her wines on a Bordeaux schedule (quarterly during the first year, then two more times thereafter); since 2001 she has backed off to a total of two rackings, plus a third one prior to the bottling, which takes place 20 to 22 months after the harvest, without fining or filtration. Her barrels of choice for Cabernet Sauvignon have been from Bossuet, which she says brings a roasted coffee character and lower acidity, and Demptos, though in the past four or five vintages she has added some barriques fabricated by Sylvain and Séguin-Moreau. The percentage of new oak has increased gradually, from about 65% at the beginning to around 85% today. The property naturally produces balanced grapes – Starr told me she has never acidified. The pH of the Stone Place wine typically finishes around 3.7 (2013 was the first year it hit 3.8). Alcohol levels are never particularly high by Napa Valley standards – typically in the 14.2% to 14.4% range in the early vintages and in the high 14s nowadays: no vintage has yet been bottled at 15%. Owing to the mineral-rich, slightly low-pH soils and what Starr describes as “good tension to the tannins,” the bottled Stone Place wine is held back a year before being released. The Cabernet Stone Place is typically deeply colored and dense, with dark aromas and flavors of black cherry, cassis, bitter chocolate, earth, minerals and violet, but generally less floral and spicy than the estate’s consistently excellent Cabernet Franc. Tannins are normally rich, chocolatey and full, and rarely dry or bitter. The estate’s Cabernet Sauvignon vines are now more than 40 years old, a rarity in Napa Valley, and recent vintages show increasing savory, soil-driven complexity to go with their strong, pure dark fruit flavors. I tasted every vintage of Stone Place bottled to date, except for the ’97 and ’98, as no bottles remain from these early years. The first wine of the tasting, the ’99, immediately caught my attention for its fruit retention, definition and perfume. None of the wines I sampled with Starr were over the hill, and recent vintages appear capable of evolving gracefully for 20 to 25 years.